Planning your Easter feast? We’ve sourced a range of special items to help you celebrate in style this year. Whether you’re cooking from scratch or looking for easier options, we’ve got everything you’ll need to craft a beautiful and delicious holiday feast. First things first: Easter is a just around the corner so be sure to reserve a centerpiece with one of our butchers at your nearest Union Market today. Whether you’re looking for a spiral-cut ham or an entire leg of lamb, we’re proud to guarantee that everything you’ll find at our Meat counter is 100% antibiotic-free and sustainably and humanely raised. Likewise, the seasonal mains and sides you’ll find at our Prepared Food counter are all made using only antibiotic-free proteins, sustainable seafood, and the highest quality ingredients, like extra virgin olive oil and pure sea salt. We’ll have some special ready-to-eat dishes from our kitchen on hand to make your Easter feast easy-breezy, including our glazed spiral-cut ham, assorted quiches, and spring sides like grilled asparagus and quinoa salad with radishes, peas, and fresh herbs. We’re also offering hot cross buns from Blue Duck Bakery (available Easter weekend only) and an array of treats to round out your Easter basket, from Strawberry Blossom Cake and Easter-themed petits fours to chocolate bunnies and candy eggs from Lake Champlain Chocolates, Nirvana Chocolates, Bissinger’s, and more. 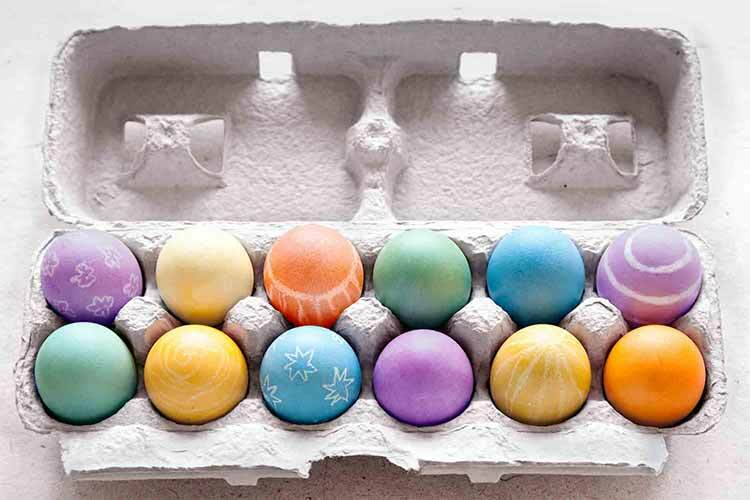 And if you’re decorating for Easter, stock up on Union Market’s free-range eggs and an all-natural egg-dying kit from Color Kitchen, along with some of our beautiful bouquets of spring flowers. Happy Easter from all of us at Union Market!